You have totally ruined the name of procrastinators the world over. Have you ever stopped to consider–no, I suppose you haven’t. You see, we (the responsible procrastinators) use our procrastination for the betterment of our kind. We watch youtube videos, listen to music, read wikipedia, and do other useful things that increase our general and specific knowledges. You have ruined our reputation, however, by your irresponsibility and overall lack of self control and propriety. Procrastination is not inherently bad. Many good things come out of procrastination. For example, I would probably never have found out that Tolkien made four different alphabets for his Middle Earth; I would never have found this awesome beard, and who knows, I might never have found this awesome duck comic. Your indiscretion has soiled the title of procrastinator forever. Thanks. Oh, you don’t know what I’m talking about? Let’s go over this and get the lay of the land. Countless teachers, bosses, and evil overlords have long held this practice as a prime example of reckless and foolhardy behavior. I beg, as I have begged many times before, to differ. I’m a proud procrastinator. The habit is embedded in my nature. I prefer the term of collateral productivity, though. You see, procrastination has been given its ill-earned disreputable flavor due to the countless antics of those people who choose to use it as an excuse to fail. Procrastination is not akin to failure! Let us be clear on this note. Instead, procrastination should be viewed as a tool with which to accomplish things we would never do otherwise without an adequate excuse. 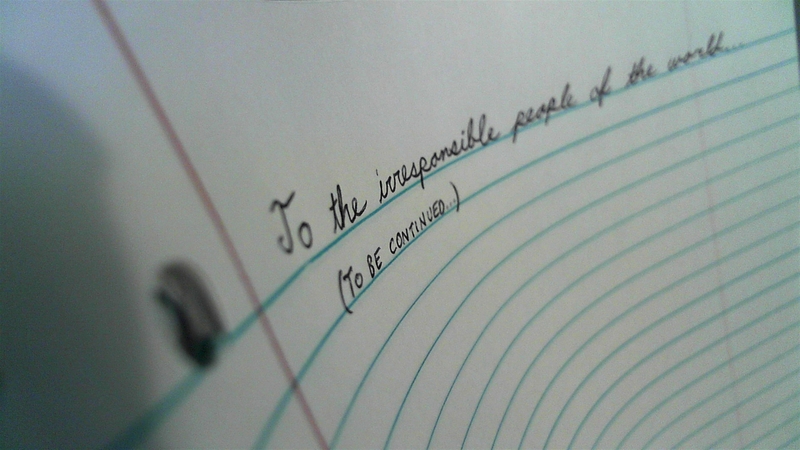 The irresponsible of the world, however, have ruined the concept. They have taken procrastination and procrastinated even the time needed to stop procrastinating. What do I have to say? Stop it! Let us procrastinate in peace. As a side note, this marks the 100 post mark for XanthusKidd! That’s a lot of inanity… Thanks for reading and all the encouragement I’ve received from you, my readers! This entry was posted in P.S.A. and tagged Common Sense, Letters, Lore, Procrastination, Respect, Responsibility.